Jamie Lall, who ran as an independent in the 2015 provincial election, received a five-year ban from running for office in 2015 after failing to file campaign finances with Elections Alberta on time. A judge is giving a persistent would-be Calgary politician another chance at running for office. 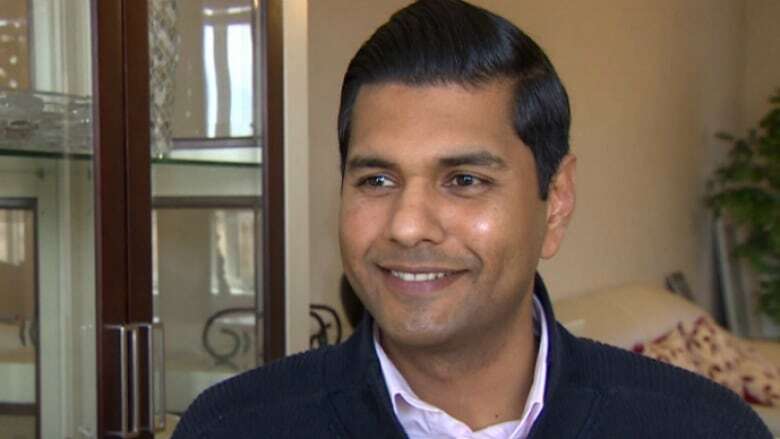 Jamie Lall ran as an independent candidate in the last Alberta provincial election after being blocked from running for the former Progressive Conservative party. Lall was defeated in the May 2015 election, winning only five per cent of the vote in the Chestermere-Rocky View riding. Following the election, Lall failed to file his campaign financial statements on time with Elections Alberta and was automatically banned from running again for five years. Lall unsuccessfully challenged the ban in court in the hope of running for the PCs in the 2016 Calgary Greenway byelection. Last month he went to Court of Queen's Bench again to ask Justice William Tilleman to reconsider, arguing he missed the deadline because he was depressed. In the latest ruling Tilleman said because the law has changed and now allows a 10-day grace period to file election paperwork, he will amend his original ruling to show that Lall filed his papers in time. "Had the current legislation then been in place, he would have benefited from the grace period and would have avoided the harsh result of being prevented from running for election for five years," Tilleman said in a written judgment released Tuesday. "In the result, Mr. Lall's filing was made in sufficient time." Lall, who is now a member of the United Conservative Party, said he is pleased with Tilleman's decision. "I am happy obviously with the result," Lall said Tuesday. But he isn't sure if he wants to seek a UCP nomination in the run-up to the next provincial election in 2019. "Never say never I guess. It isn't something that I have thought too, too much about. It will be an interesting couple of months, that is for sure." Former premier Jim Prentice said in 2015 that Lall was not allowed to run as a PC candidate in Chestermere-Rocky View because he once had a restraining order against him in relation to a former girlfriend.